Senior night, under the lights. 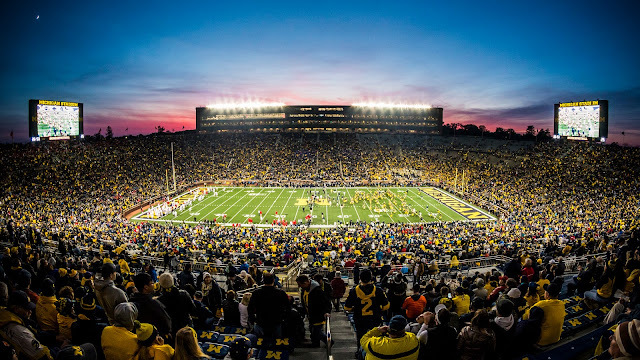 Because a 4:00 kickoff in November is a night game. Welcome to the Indiana preview where we will not be talking about Ohio State. No, the purpose of this preview is not to talk about the 450 yards of offense Ohio State gave up to a 3-7 Nebraska team. We will talk about the Indiana QB who's best performance of the season just happened to be by coincidence in Columbus, Ohio and it was 322 yards. With three touchdowns. And no interceptions. Indiana is the #82 team in the country per S&P+ and doesn't look to be much of a threat. The Hoosiers are 5-5 on the year, along with Purdue, setting up their destiny to both be 5-6 and playing for the Old Oaken Bucket and bowl eligibility during rivalry week. Purdue has, interestingly enough, had their head coach leave for Louisville, the same head coach that led a 49-20 victory over the Buckeyes but then lost to Minnesota 41-10. But we're not going to talk about that. No, we're not talking about how Purdue put up 539 yards of offense against Ohio State but less than 300 yards against Minnesota. That's not what this preview is about. You've probably read these stats a lot over the last many years but they're fun to type and re-read so here you go again. Michigan has a 22-game win streak against the Hoosiers. Indiana's last win in Ann Arbor was in 1967, a season in which Purdue(! ), Minnesota(!! ), and Indiana(!!?!?!) shared the Big Ten championship. 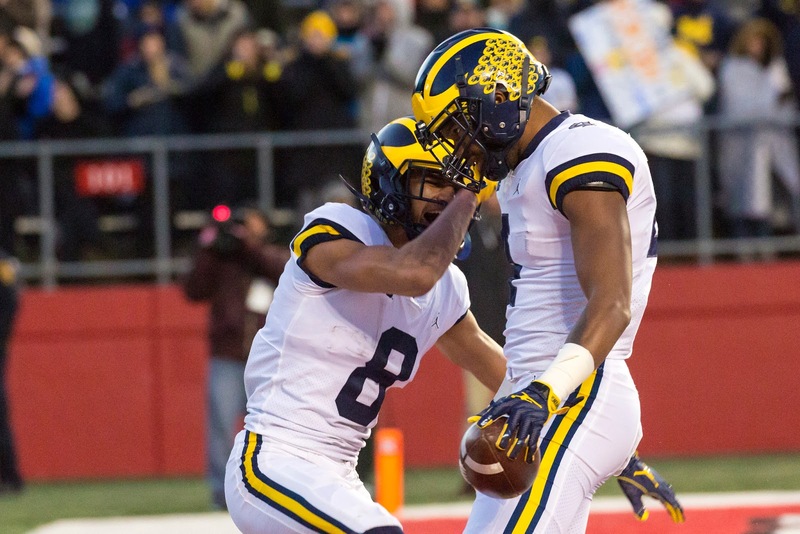 Michigan has won 37 of the last 38 meetings. So let's wrap some starters back up in bubble wrap like it's December 26 and get through this. Last chance to watch the seniors in the Big House. 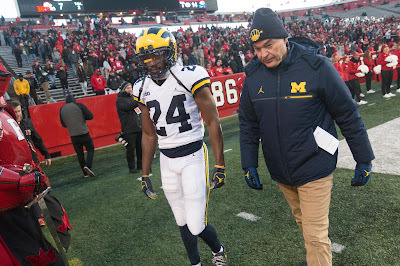 Also yes, I photographed the Rutgers game. On purpose. College football was a better place with the 2015 Indiana chaos team. With the #15 offense and #108 defense, chaos team's 13 games featured seven that were decided by seven or fewer points. 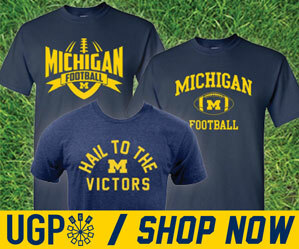 These included a seven point loss to #1 Ohio State and a three point loss to Rutgers. Since then, Indiana has hired Mike Debord and the disappointing and boring Indiana team of yore has been restored. This year's offense is #82 on S&P+ and is averaging about 26 points per game against Big Ten opponents. Indiana is ranked 67th in the country in rushing yards per attempt at 4.3, the same YPA as Ohio State. The Hoosiers' lead rusher is freshman Stevie Scott (#21), a 233 lbs typical Big Ten RB type guy. His best game was a 204 yard 6.6 avg showing against Virginia, but only 18 yards at 1.6 avg against MSU. He's not the fastest guy on the field but he can find holes and run down smaller linebackers (which Michigan does not have). He ranks last in the Big Ten in depth of targets, meaning most of his passes are short and easy routes. 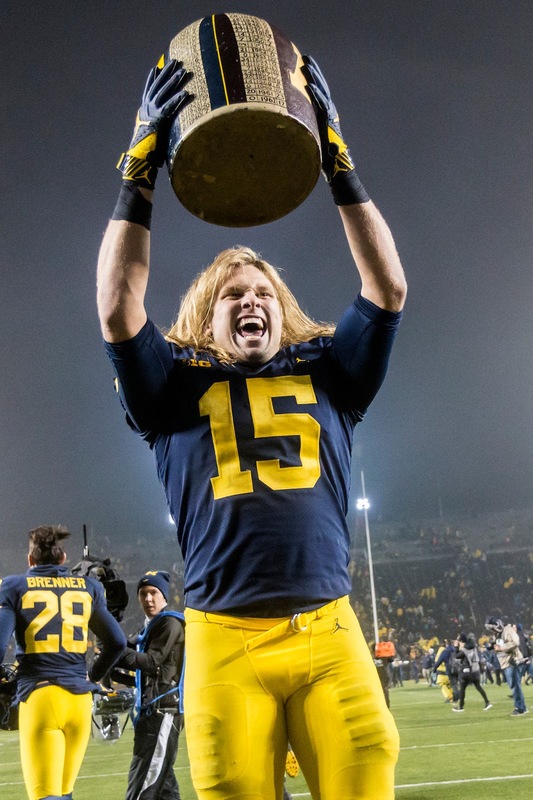 Michigan is excellent at tackling in space on these. He also has a 17 TD/11 INT ratio, which is hardly the worst that Michigan has faced but not the kind of numbers that will win big games. Indiana's longest pass play on the season was a 65 yarder against Michigan State from Whop Taylor, but he's injured and will not be playing against Michigan. Nick Westbrook (#15) will be playing, though. He had 109 yards including a 38 yard touchdown pass against Ohi-hahaha almost got me that time. Indiana's defense has given up 353 rushing yards to Maryland and 455 passing yards to Ohio State. Brian Lewerke, who put up 66 passing yards against Michigan, put up 213 against the Hoosiers. 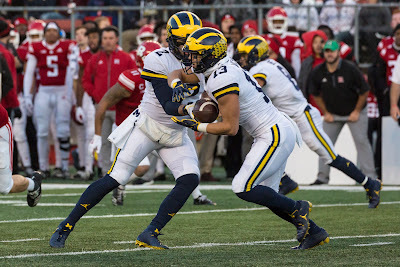 At #75 on S&P+ they're not the worst defense Michigan will have faced, but they're not a team that shuts down an opponent's strengths. That is very very meh. A couple names to watch for are linebacker Marcelino Ball (#42) (who has 2.5 sacks and 6.5 TFLs on the season) and safety Bryant Fitzgerald (#31) who has 3 intereptions. Honestly I think the biggest hurdle here will be how vanilla Michigan wants to play their offense. Shea Patterson did not run the ball at all against Rutgers, which is fine, he didn't need to. McCaffrey's injury (or all of last year) is a warning that it only takes one play to change the scope of the season. Anyone who doesn't need to play shouldn't once the game is under control. From a fan's perspective, sure, this is annoying and not as fun, especially on senior night. 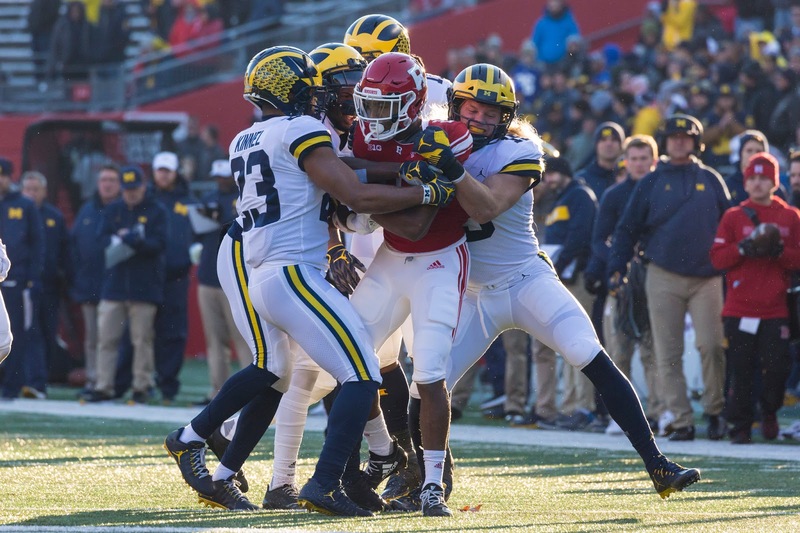 Michigan could probably firebomb this Indiana defense, but leaving the game while still healthy is more important. I would not be surprised if we see a gameplan strategy similar to last week against Rutgers. So be on the lookout for Ronnie Bell and Tru Wilson and whatever wrinkle they want to throw in to confuse Michigan's next opponent, who is *checks schedule* yup. Lavert Hill left the Rutgers game early for concussion protocol, which is hopefully precautionary. Michigan's best case scenario is to walk away with a win and zero injuries. 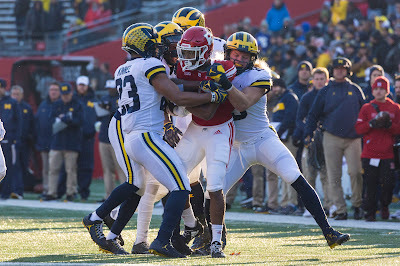 Rutgers game repeat where a Michigan win is never in doubt and everyone walks away relatively healthy. 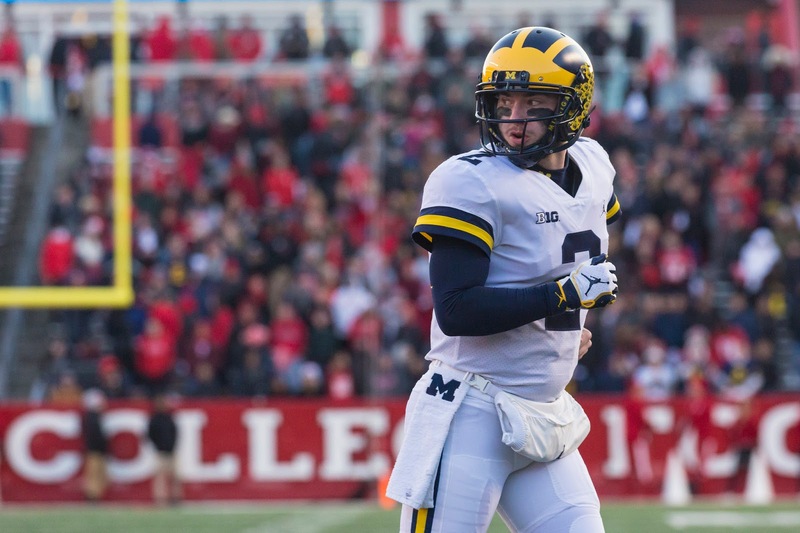 Shea Patterson doesn't run the ball because he doesn't have to. It snows in the 4th quarter and we get to re-live the 2016 game but with a bigger win-margin and without the existential dread that the starting QB will be hurt for The Game. Peyton Ramsey gets some lucky throws to his speedy slot guys and put up just enough points that Michigan has to break out the playbook. This is what gets someone important injured. The potential for snow could make for slippery conditions. I don't see a scenario where Indiana wins but Michigan has a lot to lose.